Ross Berkowitz, MD - Play for P.I.N.K. Ovarian cancer is an aggressive disease with few treatment options. A class of drugs called PARP inhibitors has been approved for treatment of ovarian cancers caused by mutations in the BRCA genes. Resistance to PARP therapy, however, reduces the clinical benefit of these drugs. Drs. Berkowitz, Konstantinopoulos, and Matulonis are studying ways to increase the effectiveness of PARP inhibitors for patients with ovarian cancer as well as an aggressive form of breast cancer called triple negative. Drs. Berkowitz, Konstantinopoulos, and Matulonis have joined forces to study the common genetic features of breast and ovarian cancers. Using information from collaborative clinical trials, publicly available data from researchers around the world, and emerging technologies, they are leveraging discoveries made in one disease to benefit the other. They then use this information to better understand drug resistance and to identify new biomarkers and therapeutic targets. 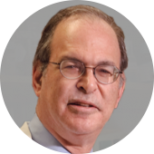 Ross Berkowitz, MD is the William H. Baker Professor of Gynecology at Harvard Medical School and the Director of Gynecology and Gynecologic Oncology at Dana-Farber Cancer Institute and Brigham and Women’s Hospital. In addition, he is also the Co-Director of the Women’s Cancers Program at Dana-Farber and the Director of the Gynecologic Cancer Program at Dana-Farber/Partners Cancercare and Dana-Farber/Harvard Cancer Center. During the past twenty years, the focus of his research has been in the areas of gestational trophoblastic disease and ovarian neoplasia. Investigations in gestational trophoblastic disease have dealt with identifying risk factors for development of these tumors as well as advancing understanding of the natural history of these diseases including subsequent reproductive experience. His research in ovarian neoplasia has concerned both the development of innovative and novel therapies as well as molecular biologic studies to identify genetic changes in ovarian neoplasia and differences in the pathways of development of borderline ovarian tumors, invasive ovarian cancers, and peritoneal cancers. Dr. Berkowitz earned his MD from Boston University and had his residency training in surgery at the Peter Bent Brigham Hospital and then in obstetrics and gynecology at the Boston Hospital for Women. He completed his fellowship in gynecologic oncology at the Boston Hospital for Women and joined the faculty at Brigham and Women’s Hospital thereafter.